The Russian Startup Ratings’ list of TOP-50 Russian startups includes new projects in high-tech, biotech, IT and medicine. 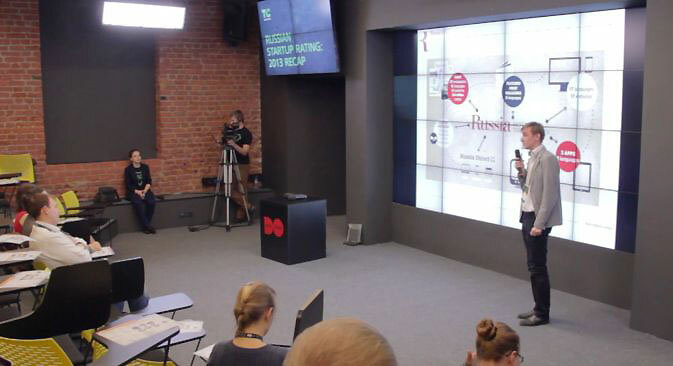 Today, December 17, Russia Beyond the Headlines, the international project of "Rossiyskaya Gazeta" will present an updated TOP-50 list of Russia’s most promising startup projects according to Russian Startup Rating (RSR). A full list of participants of the rating can be found on RBTH’s website. Each listing included a brief description of all the companies and their contacts. As the experience of previous editions of the rating has shown, the list is useful for startups, which are able to express themselves in the international arena, and investors, for whom the TOP-50 rating is a convenient base to find projects with investment potential. The rating includes such projects as DiaPark, a system of early detection of Parkinson's disease; Onkoscreening, a detection technique of various oncology diseases in early stages; RRT Global, a technology that allows the reduction of the cost of gasoline Euro-5 by several times; and Oriense, a global system for people with vision disabilities and many others. Russian Startup Rating is a infrastructure project focused at developing a network of technological entrepreneurship in Russia. Its major task is to identify and demonstrate promising Russian startups and developments for specialized and non-specialized Russian and foreign investors. Russian Startup Rating is created by GreenfieldProject and the Digital October Center with the strategic partnership of RVC, JSC. PwC provides expert support and assistance in the development of the rating methodology. Industry partners are the Center for Commercialization of Innovations, and MedStart, the Association of Medical Startups.